All that you hope to accomplish as a leader depends on igniting and maximizing growth in others. Learn what makes people tick if you dream of maximizing their growth. I notice that you frequently refer to kindness (Insert your observation here.) when you speak of others. What makes kindness important to you? What does kindness look like as you set high expectations? What surprising expressions of kindness might be useful to your team? How might you bring kindness into the tougher aspects of your role without sacrificing excellence? #2. Point out where people don’t serve themselves well. Watch for recurring disappointments or frustrations. Don’t judge. ‘Say what you see’. What are you doing that isn’t working? If they struggle to answer this question, discuss recurring frustrations. Where will you end up if you continue doing things that don’t work well? How might you be contributing to this frustration? What might you do that will make you proud? What crossroads are you facing? If you were certain of success, what would you try? The value of failure is learning. Where might you need to show compassion to yourself? Challenge yourself? At what point, even though you didn’t know then, did things start going badly? Who might you include on your team next time? What should you avoid doing in the future? Do differently? Express empathy, but don’t affirm neglect, lack of preparation, or poor execution. 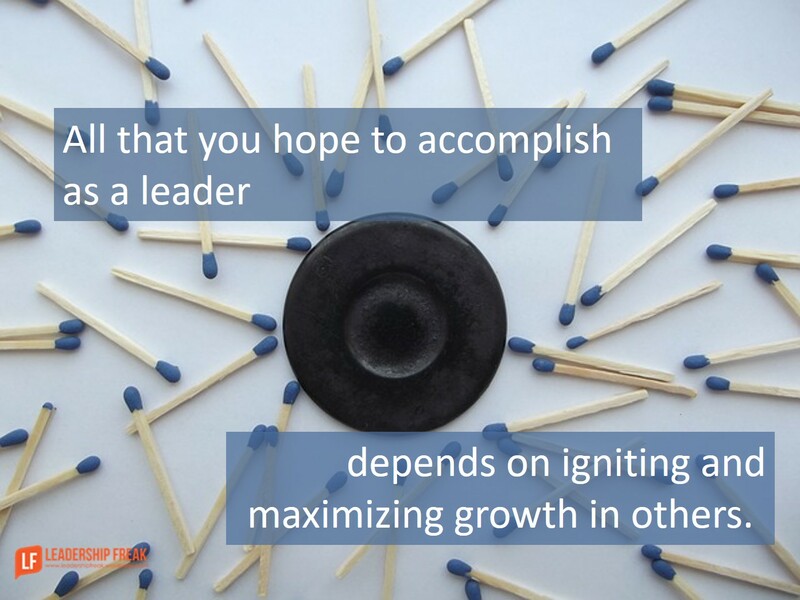 How might leaders ignite and maximize growth in others? *Tune in tomorrow for more. I think these are good techniques. In addition, a leader needs to be socially intelligent in order to successfully implement these techniques.Social intelligence is about active listening, genuine empathy, healthy attitude, humility, trust, accountability, emotional connection and support, gender smartness, and culture smartness.